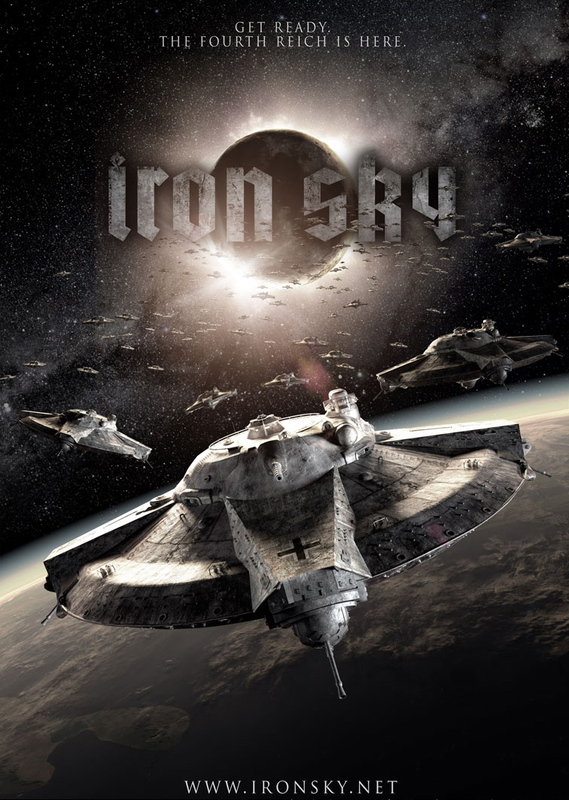 As a dark science fiction that plays with Finland's history of being oppressed by Russia, Iron Sky is a deliberate thematic throwback, a modern implementation of once-popular science fiction tropes that have fallen into disuse, such as Nazis in space. As World War II comes to an end in 1945, Hans Kammler and other German scientists make a breakthrough in anti-gravity research. From a secret base in the Antarctic, Nazi spaceships are sent to the "dark side" of the Moon to establish the military base "Schwarze Sonne" (Black Sun). Their plan is to build a powerful fleet and return to conquer Earth. The film is set in the year 2018 when their descendants finally return. Depending on how much the space Nazis were able to advance their weapons technology (assuming that they did), it'd be funny to see a battalion of them land somewhere and get their asses pasted by a few well-armed gangbangers. Just seen this movie. It's absolutely f#cking hilarious. It's not cheap comedy, it's a really good movie. I highly recommend watching it.